Below are some Frequently Asked Questions about Solar Financing… and the Frequently Given Answers we provide about residential solar installation leases and agreements. The lease makes it possible for you to use solar panels to convert to clean renewable energy for little or no money down. Skytech Solar will handle all of the permits, manage the installation of your solar for residential power, maintain and monitor your solar panel systems, then guarantee the performance of the systems for the life of your lease. You simply make monthly payments to gosolar with Skytech Solar and begin saving from day one on your solar cells. How does the Prepaid Power Purchase Agreement (PPA) work? The lease and the Pre-Paid PPA are very similar for your solar panels. The area you live in and the utility company you work with will determine which one is offered for your solar panel systems. Both offer fully warrantied, maintenance-free, solar power electric systems with power production guarantees. The primary difference is that with a solar panels systems lease, you pay by the month and with the PPA you pay per kilowatt hour (kWh). 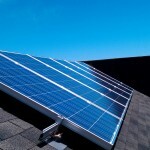 The pre-paid agreement estimates the amount of power your solar panels system will produce in kilowatt hours over the course of 20-25 years, which allows you to specifically purchase that solar power in advance, so you have no payments to make for your solar electricity over the next two decades. How long is the residential solar installation agreement? Can I buy the system if I want? Both the lease and PPA agreement are for 20-25 years. And yes, if you’d like to buy your residential solar panel system, you’ll have buyout options. You can either purchase the system, you can decide to extend your agreement for more years, or you can simply ask us to remove the system at that time. If you happen to have any additional questions about residential solar installations, please call Skytech Solar today at 415-826-2503.